When Abu Dhabi's Sheikh Mansour bought struggling British soccer club Manchester City it seemed like a risky investment. Not any more. Chinese investors have just paid $400 million for a 13% stake in Manchester City's parent company, valuing the club at about $3 billion. Sheikh Mansour -- a member of Abu Dhabi's ruling family -- reportedly paid just $350-$400 million to buy the club from former Thai prime minister Thaksin Shinawatra in 2008. That's something like a 650% return. Not bad for a 7-year investment, even when factoring in fees to buy players and the huge salaries they demand. Multi-billion dollar television rights and marketing deals have made clubs in England's Premier League the richest in the world. Manchester City was the sixth richest soccer club with revenues of 414 million euros ($440 million) in the 2013-14 season, according to consultancy Deloitte, though the club was also fined by soccer's governing body for breaking spending rules. Financial success has followed a resurgence on the pitch. City has won England's Premier League twice since Mansour's takeover. Before his investment, the club last won those honors in 1968. Manchester City is trying to tap into growing international markets for soccer, by starting small clubs such as New York City and Melbourne City. The money from its new investors -- CMC Holdings and CITIC Capital -- will be used in part to further its expansion in China. City is also planning to expand its stadium - named the Etihad under a lucrative marketing deal with Abu Dhabi-owned Etihad Airways - to become the second largest venue in English club soccer. 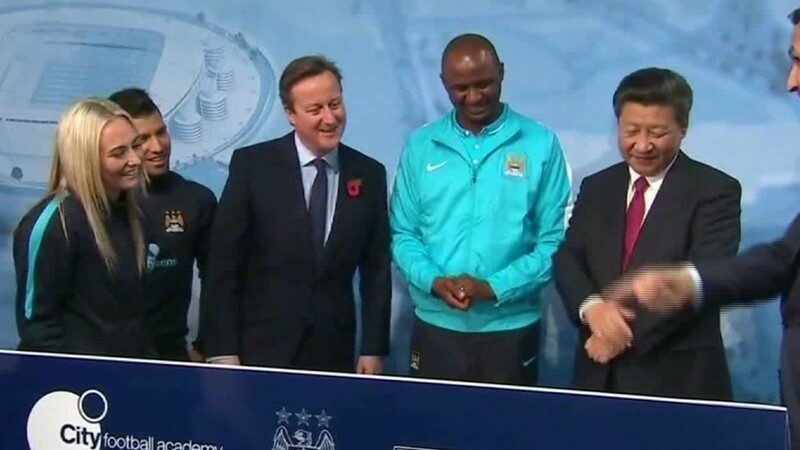 This is China's first investment into English soccer. Americans own or control City rivals Manchester United (MANU), Liverpool, Arsenal, Sunderland and Aston Villa.